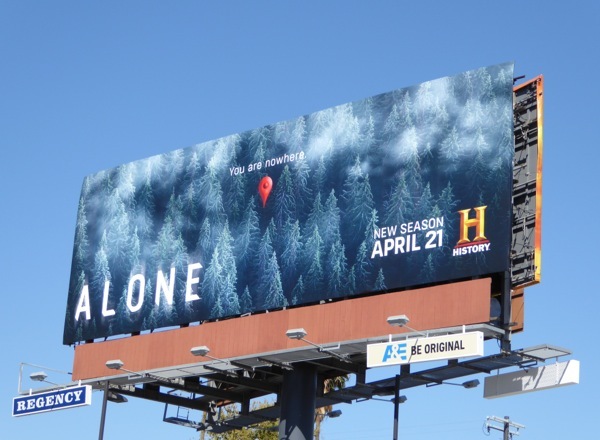 History's isolation adventure reality series Alone returns for a second season with another ten plucky survivalists willing to face the wilderness, extreme weather conditions and hungry predators all by themselves. 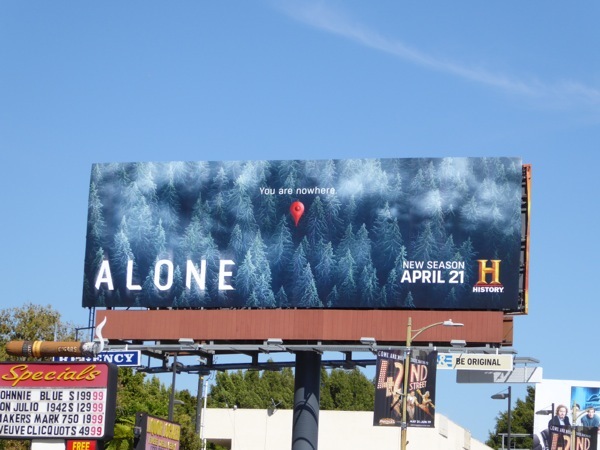 Who will be up for the challenge and whose resolve will break away from the comforts of civilisation? 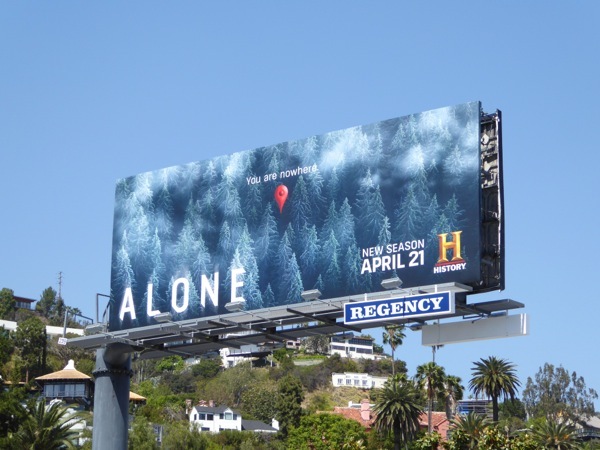 This clever map icon ad creative and the 'You are nowhere' tagline makes for a compelling billboard which instantly sums up their dire situation at a glance. 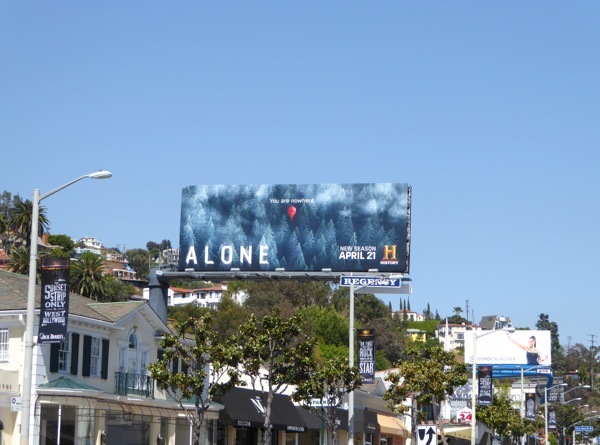 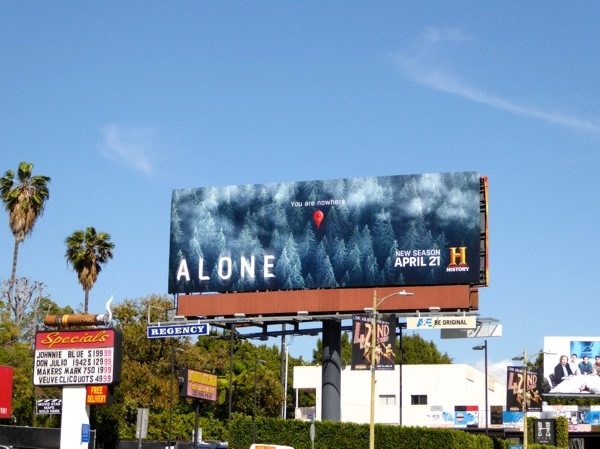 These sophomore season billboards for Alone were snapped along Sunset Boulevard in West Hollywood on March 31, then later further west along the Sunset Strip above Sunset Plaza on April 12 and along San Vicente Boulevard on April 19, 2016. 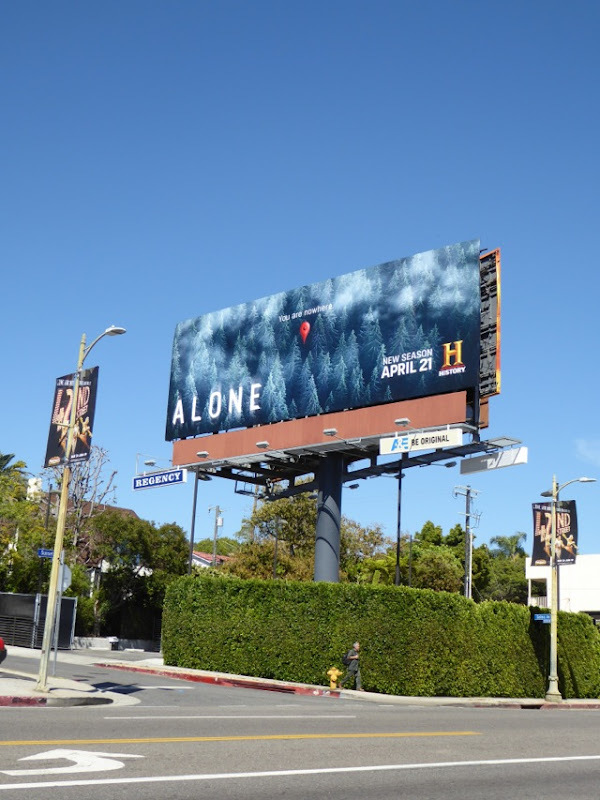 Plus if you're a fan of the show, make sure you also check out this Alone season one billboard from last June. 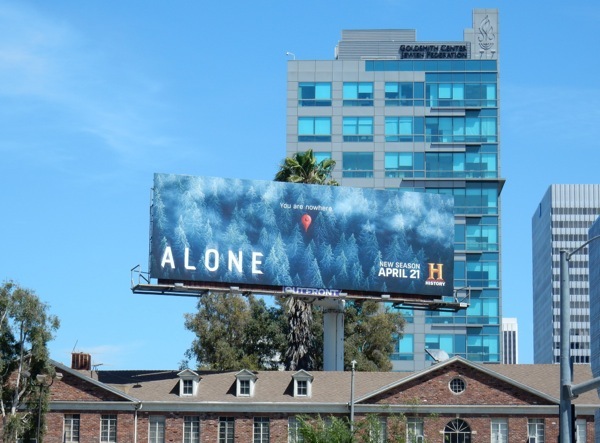 One thing's for sure, these billboards are certainly not on their own in the increasingly crowded skies of sprawling Los Angeles.